Canteen took the London restaurant scene by storm in 2005. Here was a restaurant serving proper British food - devilled kidneys on toast, potted duck, pork pies, and treacle tart - with passion and pride. Their no-nonsense, modern-meets-classic menu has brought good British cooking to the high street once more, and prompted the likes of Gordon Ramsay, Terence Conran and gastropubs around the country to follow suit. Canteen is hugely popular with people of all ages, who just love good food. And with people keen to cook simple, economical and hearty family meals ‘like Grandma used to make’, Canteen’s modern classics could not be more timely. 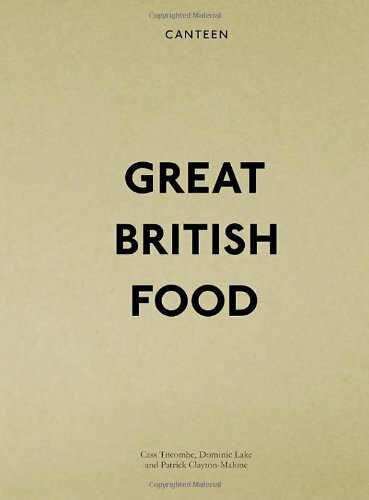 Featuring innovative design and photography, and traditional recipes that helped to make Britain great, Great British Food looks set to be the most talked-about cookbook of 2010.